Founded in 1967, the Greenville County Golf Association has directed the various amateur golf championships in Greenville County. Started by local golfers who wanted to see a Greenville County golf "champion", the association has survived and thrived through over three decades. Leon Gravley was Executive Director for over 25 years, and led the GCGA, and the County Amateur to become one of the most important amatuer golf events in the Upstate of South Carolina. He was suceeded by his son, Mike, who not only leads in the number of victories of the Greenville County Amateur, but also led the GCGA succesfully following Leon's death in 1991 until 1995, when little brother Robbie took the helm. "I really enjoy the job, and in a lot of ways I feel that by continuing to be involved and stage these championships I am doing it to honor my father. I think this is the way he would want it", Robbie says. Mike continues to serve on the board, along with, David Holtzclaw, assistant director has served alongside Robbie since 1996, Joey Patterson, who sets up the course for county amateur, and Terry Willis, who recently joined the tournament committee and also is the Cyder Cup Captain for Greenville County. Support from all the local clubs and golf professionals has been paramount. Most clubs in the county have hosted at least one event, and those that haven't send lots of players! !It is a labor of love to all on the board. Please feel free to contact us with your thoughts and suggestions. Greenville County Golf "HALL OF FAME".....click here to enter! We hold in very high esteem the history of past events. Our champions in all of our championships make us grateful to have been a part. Click the link below to go to our "Past Events" pages!! For complete results of the GreenvilleCounty Am starting in 2002 (when we started this web site), click here. Note that there are eight two time champions: Trey Bridwell, Chris Eassy, Tim Garrett, Tommy Gaul, Bobby Hines, Billy Hong, Frankie Impson, Chris Patton, and Whit Suber. There is one three time champion, Bill Lovett, and there is one four time champion, Mike Gravley. Several champions have gone on to play professionaly. Tommy Gaul was a long time club pro, while Chris Patton, Michael Christie, & Mike Gravley all at one time or another spent time on the PGA Tour, while Jeremy Revis spent some time on the Hooters Tour. Keith Storms, Michael Christie, Brent Delehoussaye, and Garland Ferrell were current college players when they won, while Todd Satterfield and Joe Moses were college coaches when they won. Bill Lovett has gone on to design and market his own golf club line in Florida, and we must point out the illustrious amateur careers of our first and third champions, Cathead Stroud and Dillard Traynham, who between them won a basket full of State Amateur & Open Titles. Of all the past champions, only Mike Gravley can rival the total tournament wins of those two. You also might reacall the tragic death of Billy Hong, the reigning champion in 1983, when he was aboard the Korean Jet Liner that was shot down by a then Soviet MIG fighter. Billy, who won the '83 tourney at Pebble Creek to go with his '79 win, was extremely popular & loved by all. Perhaps the biggest accomplishment of them all outside of Greenville County came from our 1985 & 1989 champion, Chris Patton, who just a few short weeks after winning the 1989 Greenville County Amateur title, was hoisting the Havemeyer Trophy as the U.S. Amateur Champion at the Merion Golf Club in Ardmore, Pa. Chris went on to play in the 1990 Masters Tournament, finishing as low amateur and an overall 39th place finish. 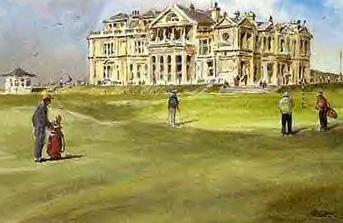 He also played in the British Open Championship at St. Andrews. ALL AS THE CURRENT GREENVILLE COUNTY AMATUER CHAMPIION!! We are proud of all our champions! !